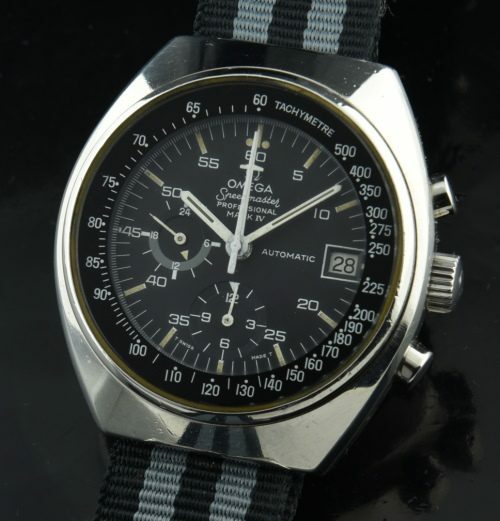 This 1973 OMEGA SPEEDMASTER MK IV chronograph is priced to sell. The dial, hands, crystal and inner bezel are all original and very clean. There is attractive patina exhibited on the dial. The 41.5×45.5mm. 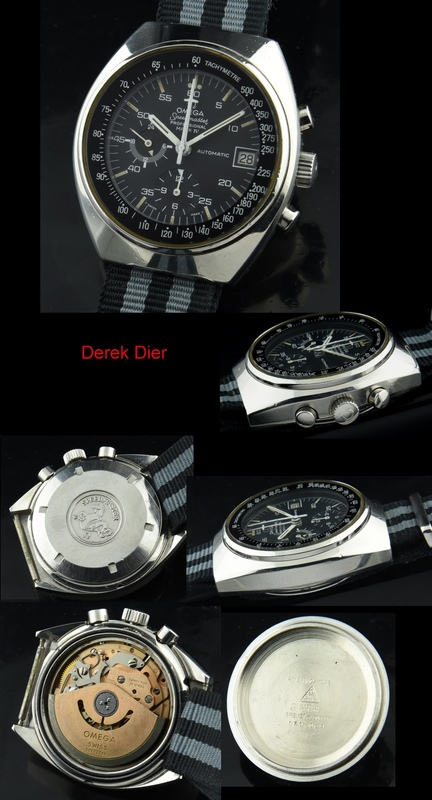 stainless steel case has been polished and looks very good with some very subtle marks from normal use. The 23 jewel OMEGA caliber 1040 movement was just cleaned and is accurately keeping time with all functions operating. This watch is a bargain at this price!